Sadie Frost, Queen of the Primrose Hill set, has an ultra-cool, ultra-chic daughter. Iris is seventeen, a model, and has one of those painfully cool Instagrams that plenty will try to emulate. Style notes: Sadie is a classic London girl, while Iris flits between athleisurewear cool, comfort-dressing, and OTT satin slips a la Kate Moss in the 90s. We're into it. Misato and her daughter Coco make Tokyo's Harajuku their stomping ground, where the family owned thrift store Funktique Tokyo is based. Thanks to Misato, Coco dresses with such versatility and edge-filled finesse that she has become more of a buzz in the Insta-fashion sphere than influencers twice her age. Style notes: On one day she'll be a mini Virgil Abloh shaped dream in Off-White, vans, and micro-sunnies, the next a throwback mascot to the 90s Clueless era. 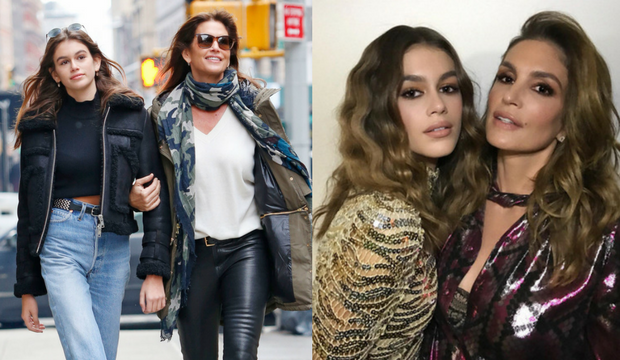 AW18 cemented Cindy Crawford's mini-me daughter, Kaia Gerber, as 2018's darling of the runway. 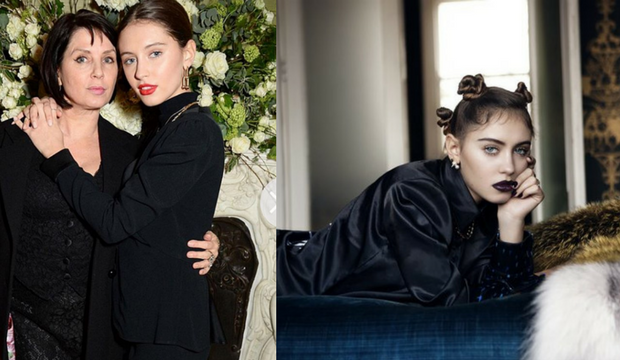 She's just landed her first Chanel campaign, and walked for the likes of Miu Miu, Alexander Wang and Tom Ford in the recent bout of fashion weeks. Cindy and Kaia are often spotted in fresh-off-the-runway looks, and we're impressed by Kaia's transition from California-preppy to cutting edge. Style notes: Haute denim and 'perfect white tee' remixes from mama Cindy, and well-informed accessory trend updates from Kaia (Western belts, Le Specs etc). 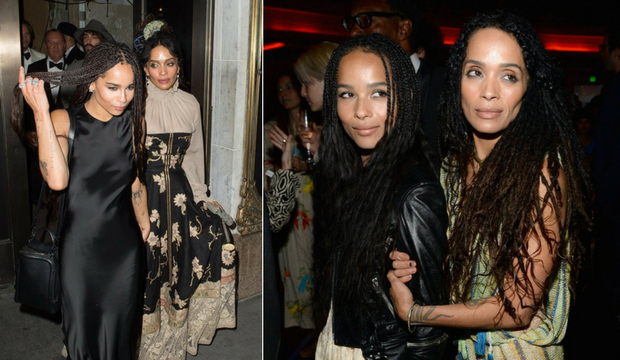 Lisa Bonet and her daughter Zoë Kravitz are the film industry's coolest, best-dressed mother-daughter duo. One nearly out-sparkled all her fellow cast in Big Little Lies, and the other has been a household name since the 90s (and recently married to the actor who plays Khal Drogo in Game of Thrones. Bravo!). Style notes: Airy, hippy elegance paired with tough jewellery, smokey eyes and signature tattoos. Two year old Ioni made her fashion debut in January of 2018, as she giggled down the runway at Jean Paul Gaultier's PFW show with Coco, who is pregnant with a baby boy (top left). We've been enamoured with the family ever since. Style notes: White tights, mini converse, hair sculptures and faux bangs. From her fashion mistakes of the noughties to her triumphs ever since, Nicole Richie is, now, undeniably a style icon, and her adorable children Harlow and Sparrow take from their Mama when it comes to nod-worthy outfits. Style notes: Whether its floaty boho skirts or boyfriend jeans and leather, we're always into Nicole's sartorial choices. Daughter Harlow is often clad in soft ruffles and pastels, while son Sparrow rocks band-tees and mini Vans. A front row favourite and Culture Whisper's guilty pleasure: Victoria Beckham has spawned some of the most stylish celebrity children around. Her youngest, Harper Seven is a F'ROW regular. The Beckham's may have had their fair share of sartorial disaster over the years, but now Victoria's proved herself as a serious fashion designer, with the approval of US Vogue's Anna Wintour. The mother of four is moving on to the next generation of fashionistas, making her mini-me the most stylish kid in the country. Style notes: pencil skirts, body con and structure for mothers; high end hoodies and luxury trainers for children. Australian designer and former stylist Innika Choo is the pinnacle of Bali-cool, and lives an ultra chic, ultra-boho life on the island with her gorgeous family. 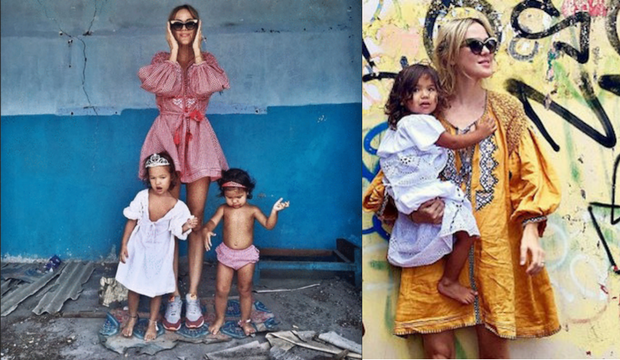 A must follow for earth-mums far and wide, her Instagram is a vista into a life of sandy beaches, patterned smocks and effortless mum-child co-ordination.